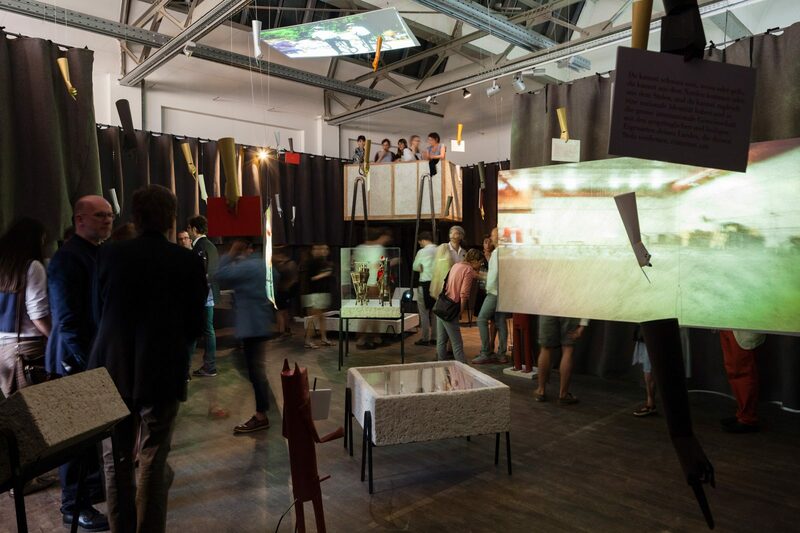 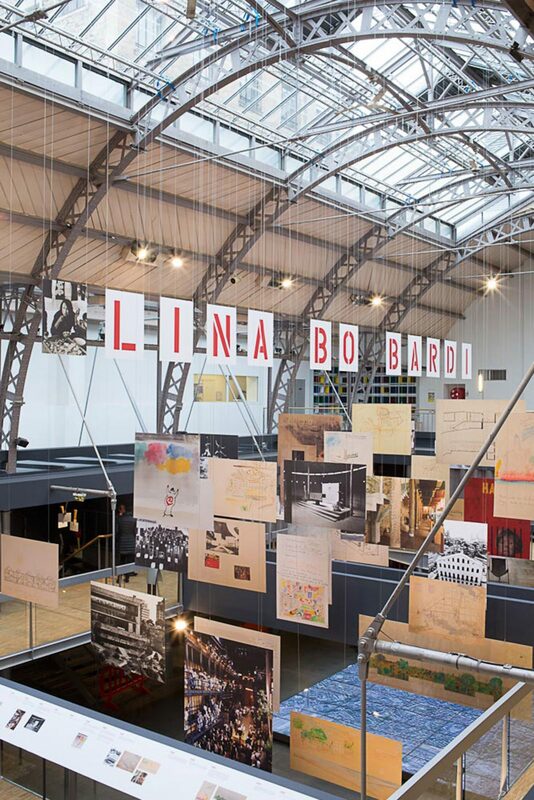 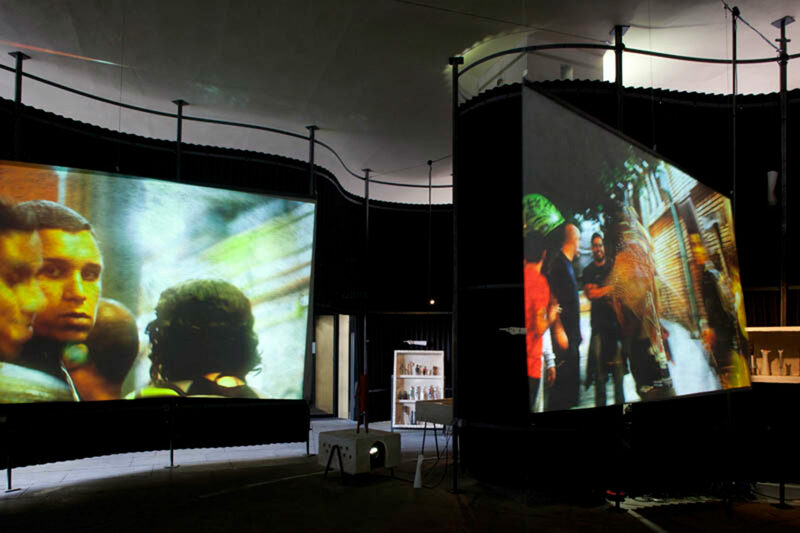 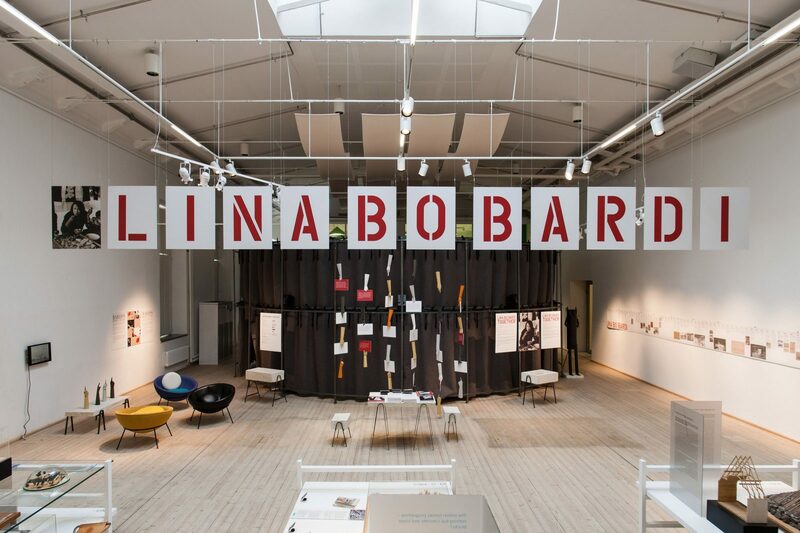 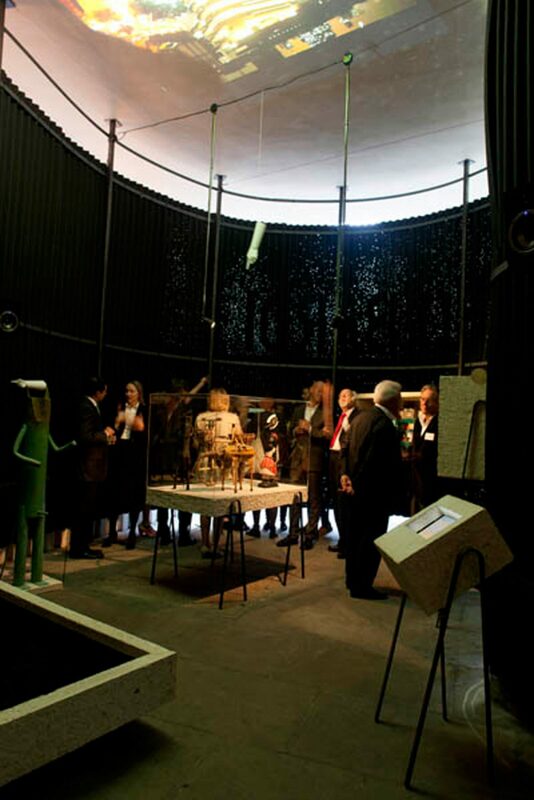 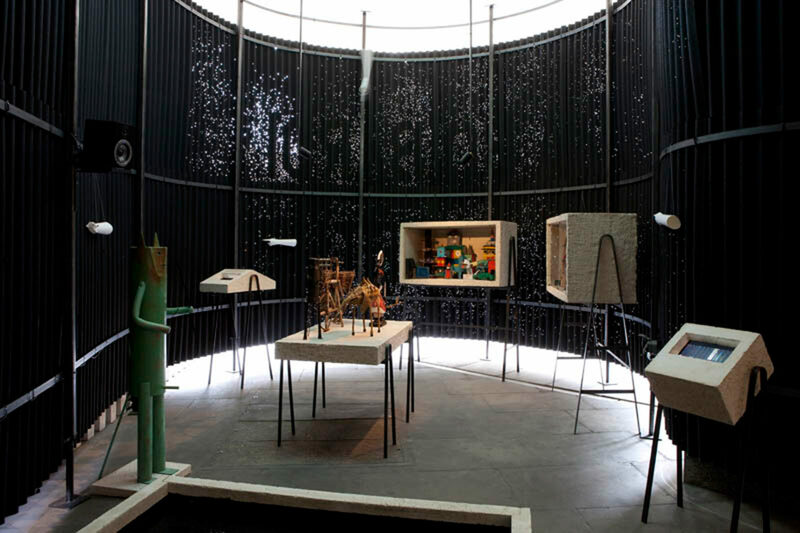 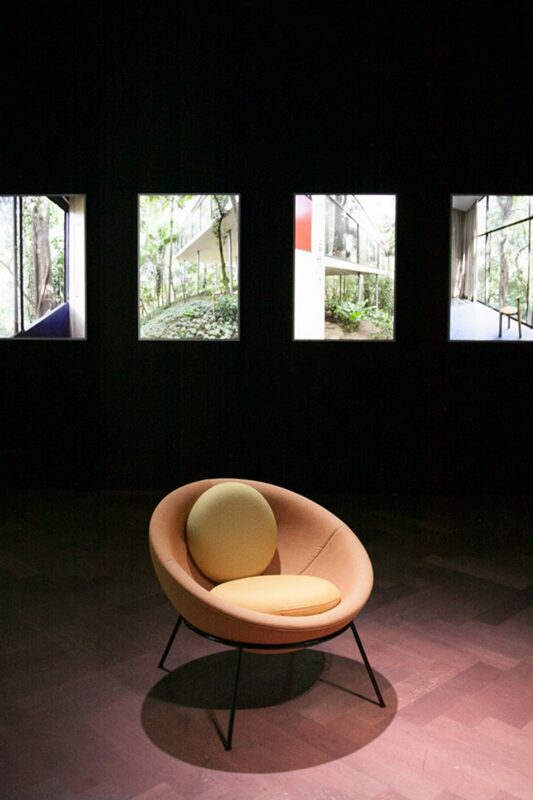 Lina Bo Bardi: Together is a travelling exhibition celebrating the work of the radical Brazilian architect, Lina Bo Bardi. 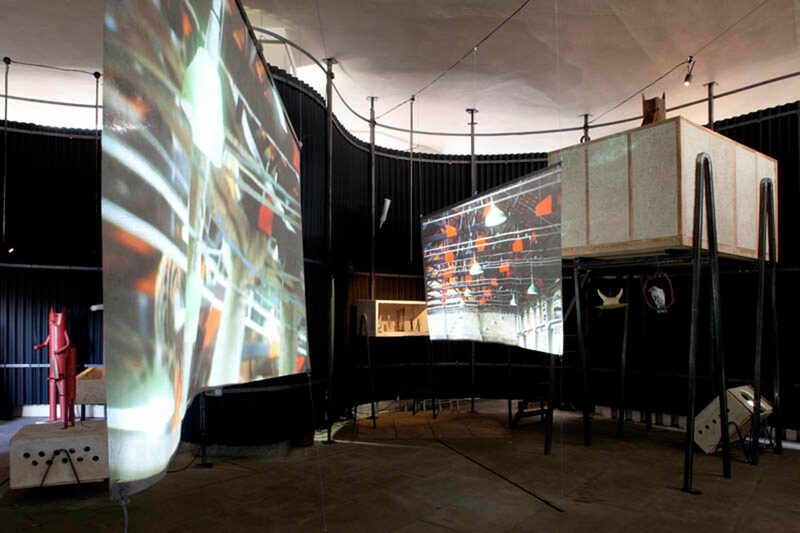 Assemble designed and built a flexible enclosure, a set of display furniture and a technical system. 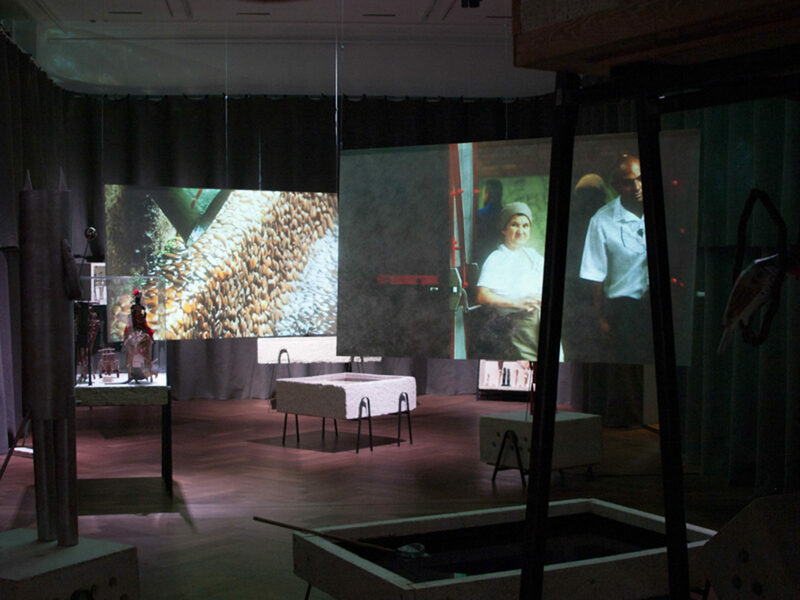 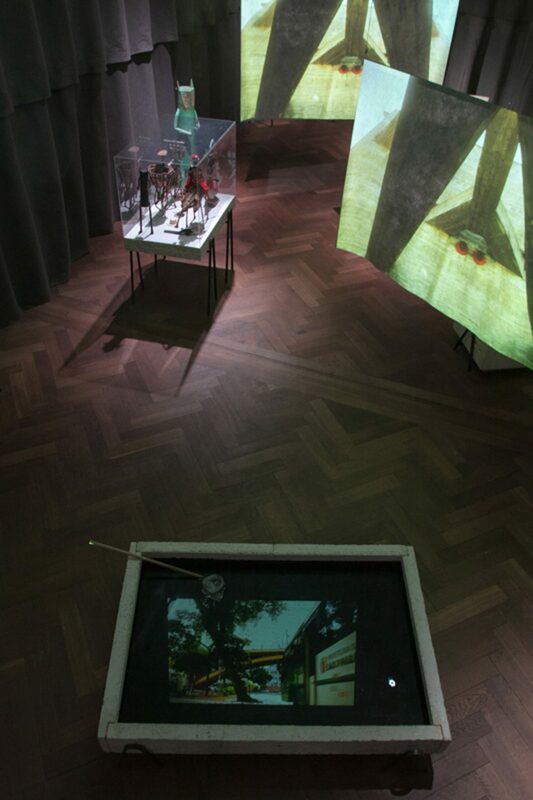 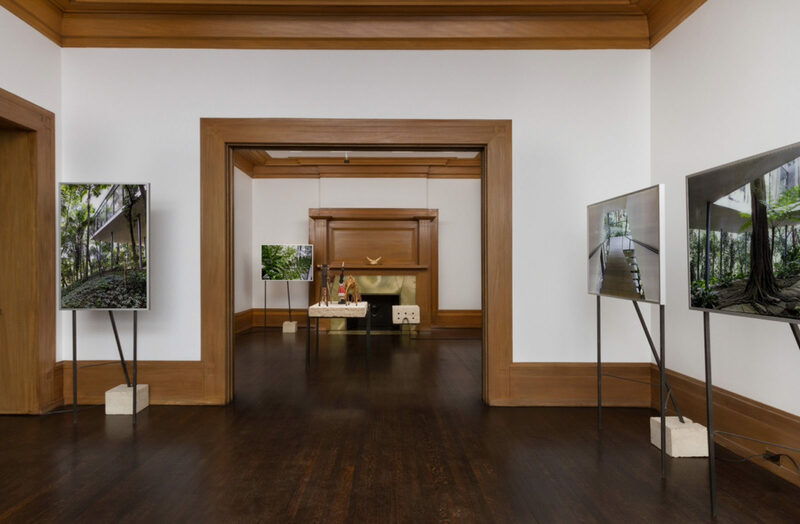 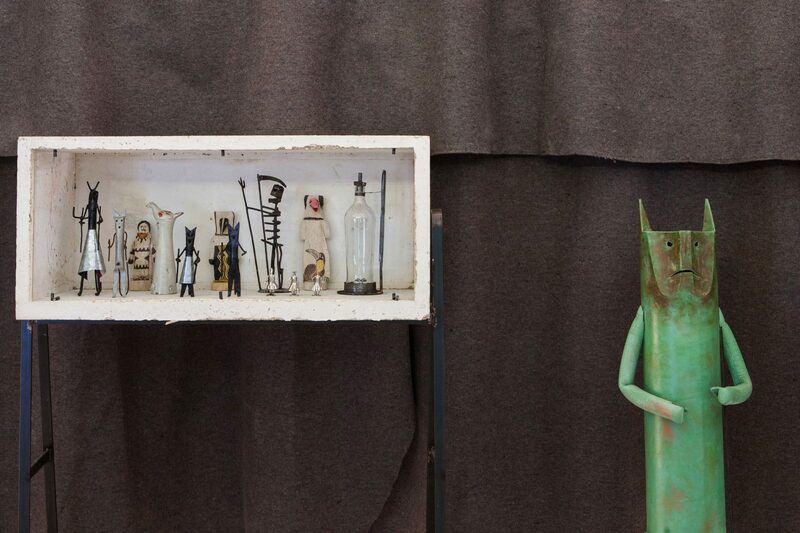 The exhibition was curated by Noemi Blager and combines a multiple-screen film installation by Tapio Snellman and a collection of objects and sculptures by artist Madelon Vriesendorp. 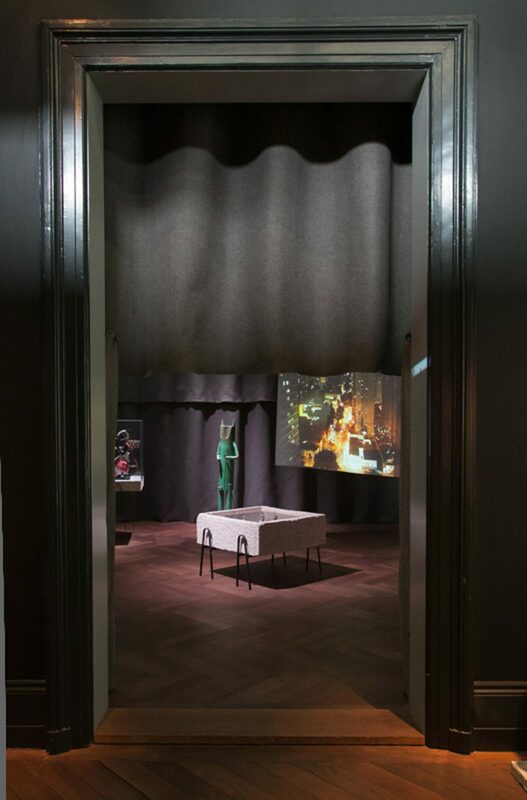 The exhibition furniture can adapt to a range of gallery situations and presents the diverse content within one space, without hierarchy. 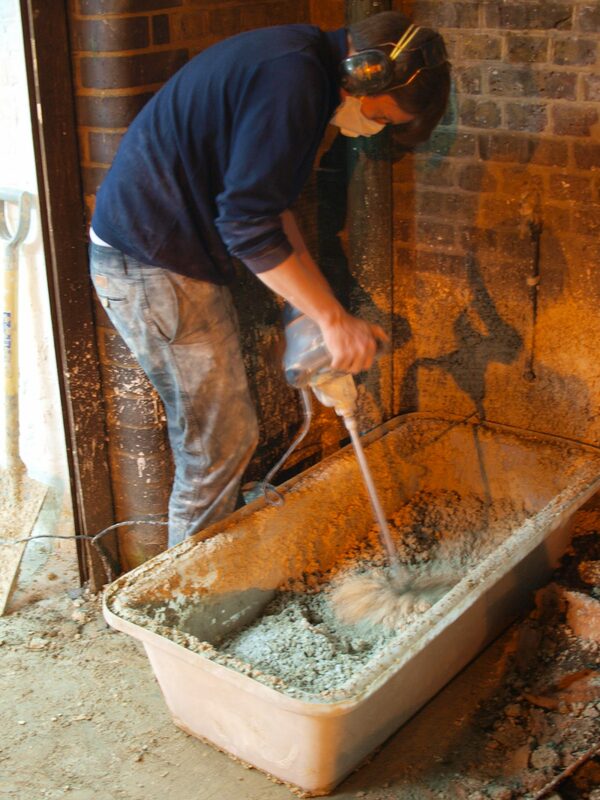 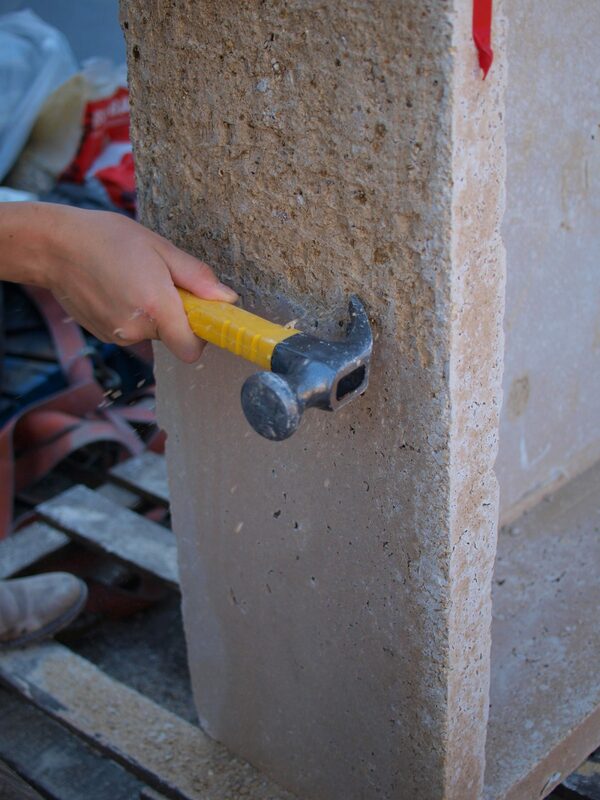 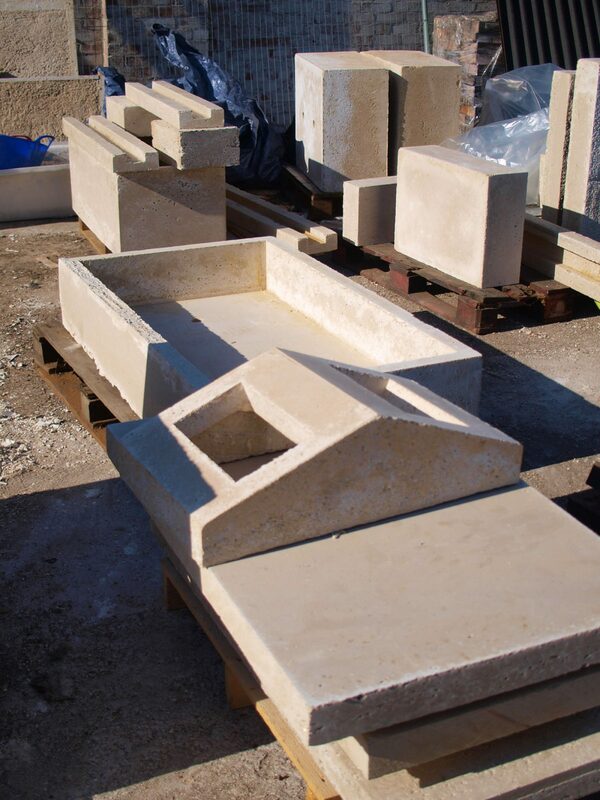 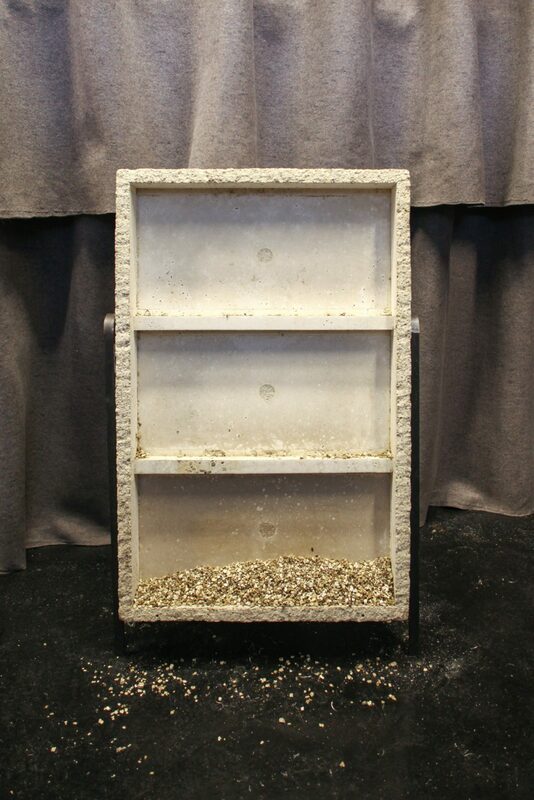 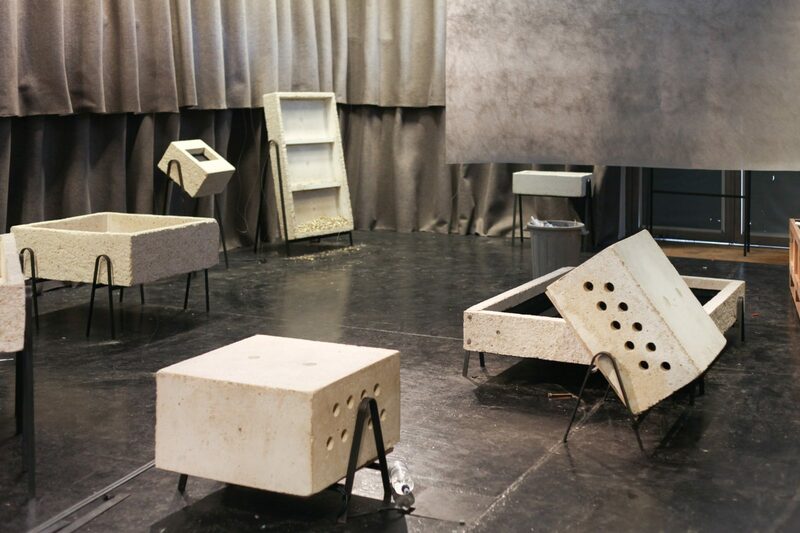 The furniture was cast using snowcrete with vermiculite aggregate, which was then hand-hammered to make a rough, gold-flecked surface. 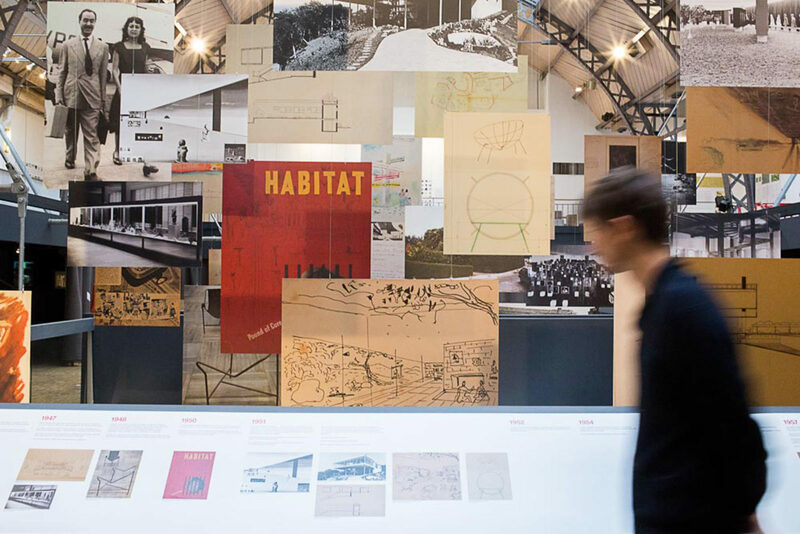 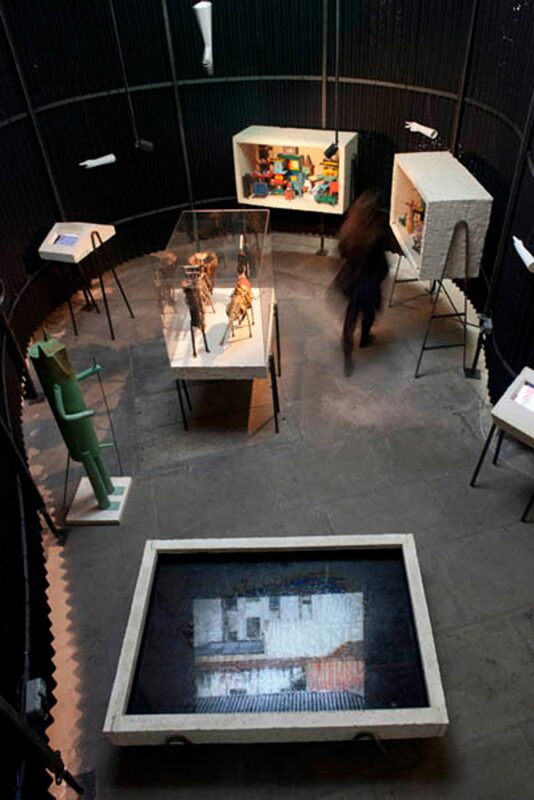 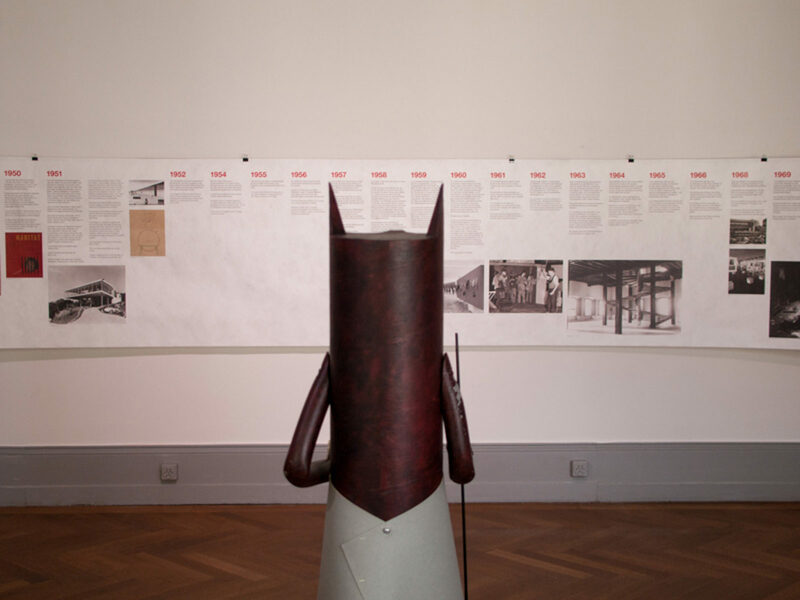 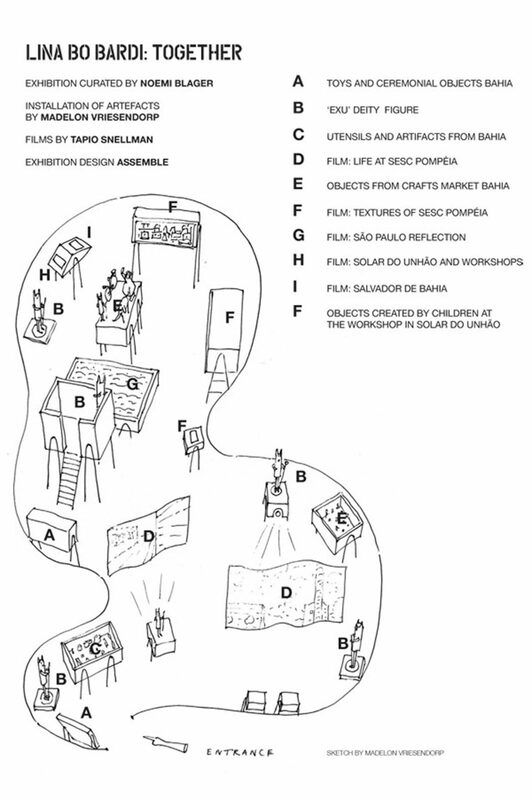 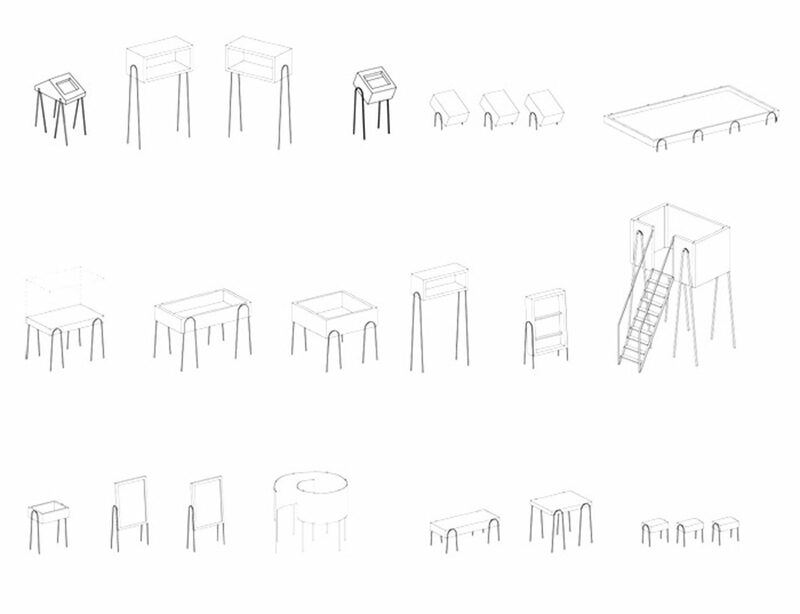 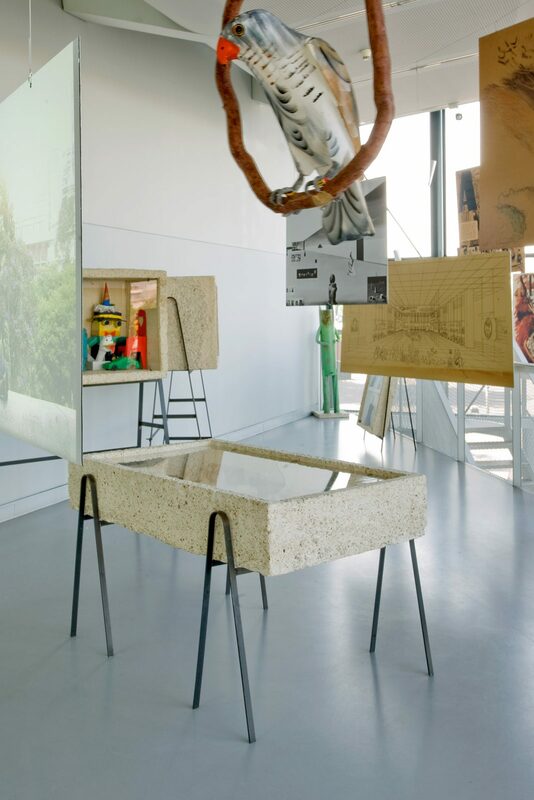 The material palette and construction methodology learn directly from Lina Bo Bardi’s approach to making buildings, and the display of exhibition contents, without hierarchy, follows many of Lina’s own curatorial practices. 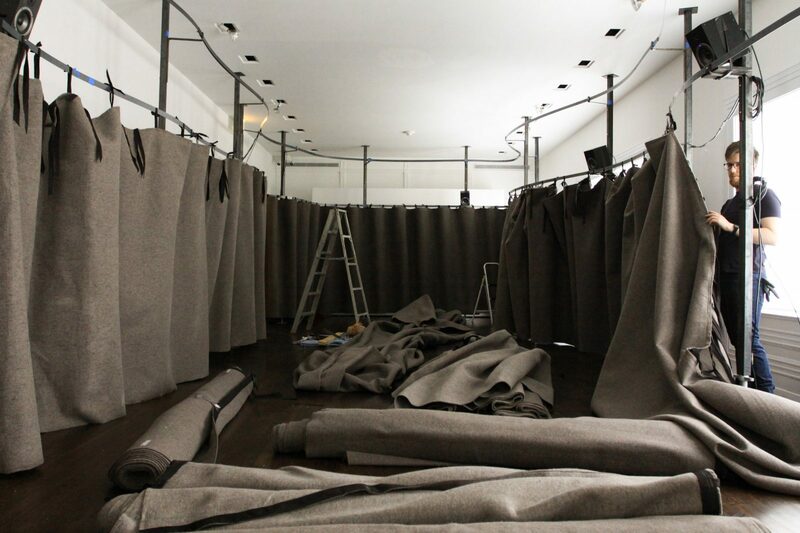 Starting in London, the installation has travelled to Vienna, Basel, Paris, Stockholm, Amsterdam, Berlin, Milan, Treviso, Chicago. 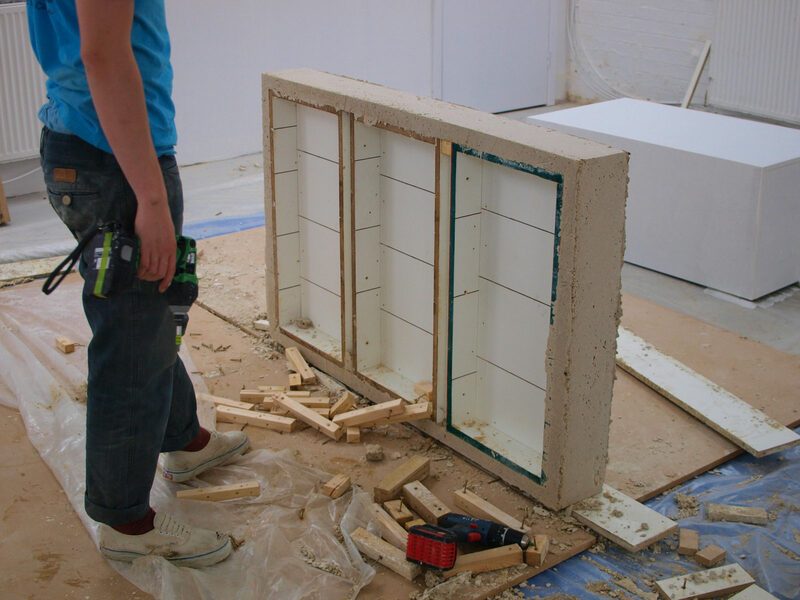 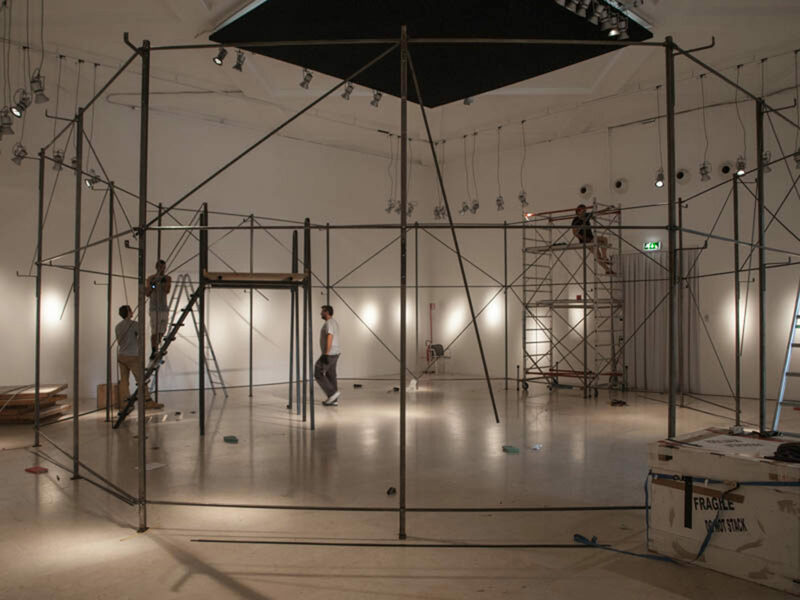 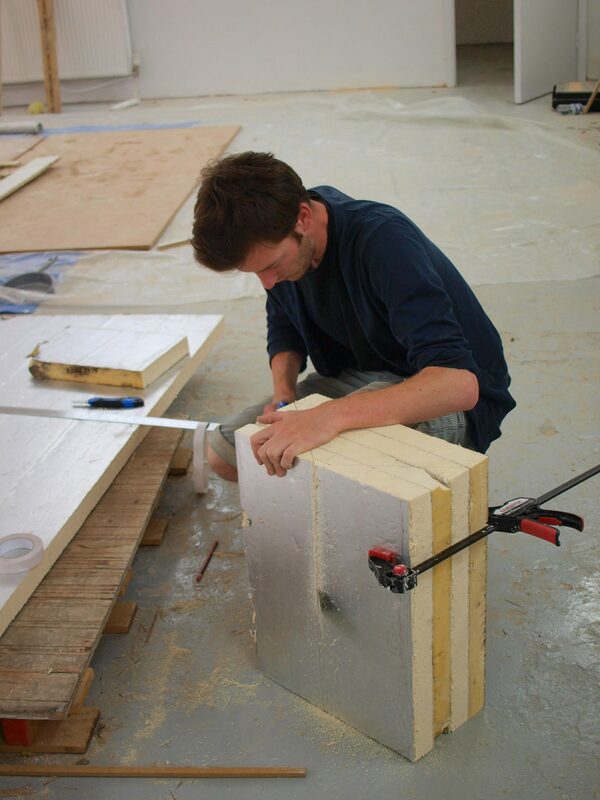 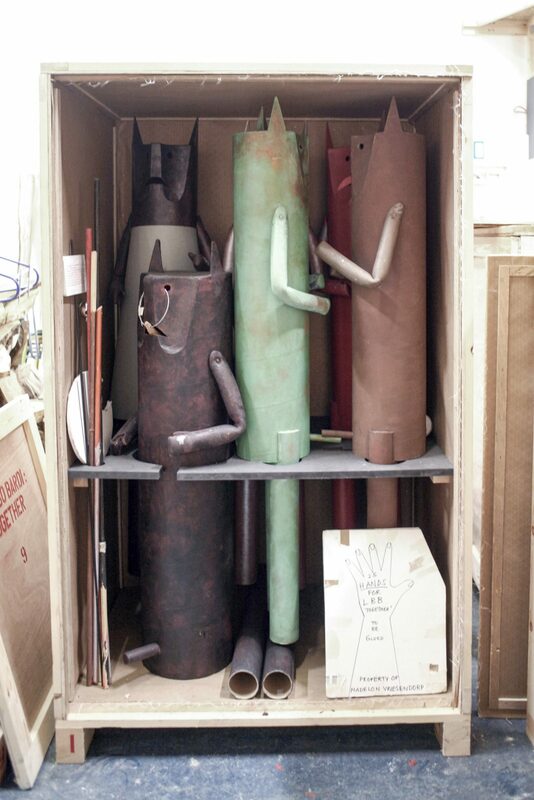 Assemble re-design and install the exhibition at every venue.